The story certainly has a cliche’ theme. Some folks might find this to be absurdly offensive to treat a woman like an object. Still, others might think the people who are offended are being overly sensitive. Can’t we just enjoy a story without analyzing it? In fact, I’d argue ignoring such analysis might cause trouble! The Problem? This female character could be replaced by a random object and the change would not influence the story. She has no effect on the story other than something for the hero to gain. What if the knight was searching for a new magical sword, a holy relic, or a new shiny pair of pants? Also, my use of the phrase, “claim his princess” might feel sexist as well. As Jasmine famously stated in the Disney’s Aladdin, “I am not a prize to be won.” Luckily for us, Disney eventually replaced the traditional damsel in distress with more empowered women. Just compare Cinderella or Sleeping beauty to someone like Disney’s Mulan. Female characters with depth and the ability to change their world beyond getting man to change it for them. We need to accept that stories and entertainment can serve to change how we think and feel. We know that exposing people to stories will shape expectations. These expectations can alter their developmental trajectory! My article review of “The Glass Slipper Effect” goes into greater detail about the dangers of exposing ourselves to these types of stories. The male lead lives in a fictional world of vikings where dragons constantly attack his people and their little bit of land, but the male lead is not most folks’ idea of a viking. He’s tiny, scrawny, fairly frail, but creative. He eventually begins dragon-combat training and sees A Pleasant Looking Couch. 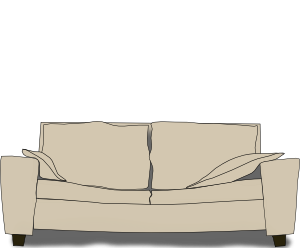 The Pleasant Looking Couch is a capable warrior and thinks the male lead is a loser. The male lead eventually finds and befriends a dragon he wounded with a machine he created, and learns how to tame dragons. The male lead then uses his newly found skills during training. In the end, we see the male lead and his fellow trainees riding on dragons to save the day against an evil dragon overlord which had been forcing the dragons to attack the vikings all along. In the end, the male lead saves the people, changes what the vikings believe about dragons, and A Pleasant Looking Couch finally sees him for the capable man he really is. The female lead, Astrid, may be objectified, but at least she was a capable and contributing member to her society without the help of the main male protagonist. Her influence over the story was inconsequential beyond the male protagonist’s feelings towards her. It’s not the worst offender, that’s for sure! Let’s move on! 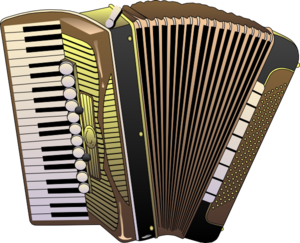 The male lead, a handsome rogue with a heart of gold, runs into a beautiful young Out of Tune Accordion who gets itself in trouble. The male lead falls in love with this Out of Tune Accordion at first sight. Eventually, the guards come to capture the male lead for stealing and that’s when he find’s out the Out of Tune Accordion is royalty. The male lead is allowed to escape his sentence by helping the wicked man retrieve a magic lamp. The male lead is tricked and almost killed by the wicked man, which results in the male lead keeping the magic lamp. It turns out there is a wish-granting Genie in the lamp! He uses his wishes to become a man worthy of royalty (he becomes a prince). He tries to win the Out of Tune Accordion’s heart, but it is offended by be treated as an object. He spends time with the Out of Tune Accordion showing it interesting views on his magic carpet, while keeping his true past a secret. Eventually, the wicked man steals the lamp. The male lead struggles to fight the wicked man, but the male lead eventually tricks him into becoming a genie. The male lead saves the kingdom, and of course, he wins the heart of the Out of Tune Accordion . Thus, they live happily ever after. Jasmine, the female lead, serves little purpose in this story and fails to progress as a character during the story. She exists as an object for the two men to fight over. She could have been replaced by a giant mop, a bowl of spaghetti, or a ball of rusty barbed wire as she failed to really change the story. She had minimal influence on her father, was powerless against the antagonist, and she was still objectified in the end. Aladdin’s simplistic relationship with Jasmine revolved around her appearance alone. In this way, I do feel it’s a fairly sexist version of the character. I’m not saying this is a bad film, I love this musical a lot. It is simply unfortunate that it has a weak female lead. She is actually much more fleshed out and influential in the cartoon series. A Plate of Pickles is moving to a new home with its parents. Its parents get lost and stop in a strange place, and decide to eat some food. Its parents get cursed and turned into animals, and now the Plate of Pickles must find a way to change them back. While trying to find out what to do, the Plate of Pickles finds a magical world with strange people. A witch rules over this small area and will not allow trespassers to leave, so the Plate of Pickles is put to work as part of the staff. The Plate of Pickles finds the manual labor difficult, but the Plate of Pickles works hard. The Plate of Pickles meets people who can help find its parents, and the Plate of Pickles learns about responsibility, overcomes its fears, and is eventually able to confront the witch. In the end, the Plate of Pickles restores its parents back to normal and they leave the magical place safely. In this film, Chihiro’s parents are cursed and she is stuck working at a bath house. She works hard, tackles her fears, explores this new world, and makes new friends. She overcomes the witch with the help of a few friends and her quick wits. That said, you cannot replace this female lead with a plate of pickles, or any other MacGuffin for that matter. She explores the world, grows as a character, and makes changes in the world. Sure, she gets help from a dragon-boy name Haku throughout the the movie, but his character is actually more of a MacGuffin. The story doesn’t revolve around him, but he’s certainly part of the supporting cast. That said, at least one of the movies on the list has a positive female depiction! Finally, the Bechdel Test offers another interesting ways to look at women in movies. Allison Bechdel authored a comic strip running from 1985-2008 entitled “Dykes to Watch Out For,” and in one of the comics, she detailed a list of rules for one of her characters to watch a film. The rules became what is now known as the Bechdel Test. How to Train your Dragon – Pass. Two of the female characters speak to each other, mostly about fighting dragons. Aladdin – Fail. Jasmine is the only female character in the story, so how could it pass? Spirited Away – Pass. Tons of female characters and they typically talk about lots of things. Certainly, the Bechdel Test alone cannot determine if a film is sexist or not, but it provides a quick idea. If it cannot pass this test, the film might struggle to depict a well-rounded female character. In conclusion, latent sexism in film really isn’t news. I simply wanted to provide folks with a few ways to think about films, and the characters within them. To me, good character depictions (male or female) involve a character’s growth. What challenges did the character face, and how did the character overcome the challenges? What did the character learn as a result of their experience? How did the character’s failures shape their future behavior? I think these are healthy questions to ask. I know film is entertainment, but that does not mean it cannot change how we think and feel. As discussed in so many post on this blog, our experiences shape us! When choosing entertainment for yourself and your family, at least think about what lessons will be taught. I believe the topics warrants discussion, but I cannot deny I still love some of these bad films. Aladdin Sing-Along anyone? By psychddouglas in Uncategorized on October 20, 2014 .